Have you been in a bicycle related accident? 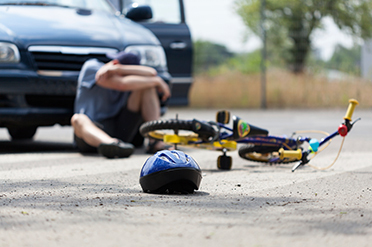 Any kind of bicycle accident, even a relatively minor one, can be particularly dangerous to cyclists, potentially causing long term injuries that are not only painful, but also costly to recover from. There is also a certain bias from many automobile drivers when it comes to cyclists. The consensus often is that they do not have to share the road with them. Insurance companies, as well as the authorities, often skew police reports in favor of the car or trunk – which, more often than not, is the party with little to no injury. The variety of motorist related accidents a cyclist can get involved in is as wide as it is dangerous. While hit and runs are quite common, it is not unusual for the motorist actually at fault to not even know they caused someone injury. For instance, when riding your bicycle through busy city streets, especially by parked cars, one situation you might run into is a motorist suddenly opening up a car door, causing you to slam into it. Typically, this occurs in one of two ways. Most of the times, the cyclist is moving alongside parked cars when one car door is suddenly opened on the driver’s side of a parked vehicle. The other, rarer alternative is when a passenger opens a car door stopped during traffic. The cyclist may find themselves hitting the car door or window. This can cause very serious physical damage. Even worse, it is not uncommon for the cyclist to veer away from the newly opened door and crash into another vehicle or object, possibly at an even deadlier velocity. In these cases, the party originally responsible for the accident drives away happily, often not even aware of the event they just caused. When no other vehicles are involved, the environment itself, when not properly maintained by local authorities, can prove to be a very dangerous threat. While motor vehicles can typically just drive over any debris, this is rarely the case for cyclists. Something as simple as a few shards of glass or a tree branch can lead to flat tires, bent wheels or even direct impact crashes. Even worse, 40% of all fatal bike accidents in 2012 were rear-end collisions, usually due to the cyclist trying to avoid an insurmountable obstacle. In crashes involving debris, figuring out exactly who the guilty party is can be especially difficult. It could be a government agency responsible for maintaining the road, or a private party, such as a truck not securing its cargo adequately. 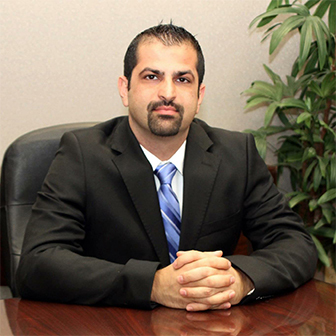 Especially in cases where a governmental agency is involved, the procedures can be very strict and the trial can become quite lengthy. Our experience in going past these ingrained biases make us particularly qualified to represent you as a victim of a bicycle accident. We understand the inherent dangers many cyclists face while simply trying to commute to work in a cheaper or healthier way, or simply enjoying their hobby.